Have you got the new issue of Period Living? Have you picked up the latest issue of Period Living yet? The beautiful May edition features 44 pages of period homes and gardens, full of the promise of spring. The issue also features the latest decorating trends for period homes, along with a celebration of Queen Victoria, your little black book of British manufacturers, and the launch of Period Living's 2019 Home and Garden of the Year awards. Add that to gardening advice, inspiration for exploring Britain's heritage destinations, and essential home buys, and you have another issue of your favourite magazine. Stunning period homes and gardens brimming with unique touches. Celebrate 200 years of Queen Victoria with a look at her life, and go behind the scenes of the hit ITV drama. Enter the Period Living Home and Garden of the Year awards. Buy British with PL’s little black book of expert manufacturers. Grow hothouse plants for your sunroom or greenhouse. Decorating inspiration for using Arts and Crafts prints. How to maximise space without extending. Discover William De Morgan, with Antiques Roadshow expert Marc Allum. Go behind the scenes at a salvage yard. How to maintain and repair original encaustic floor tiles. Design ideas for investing in a conservatory, orangery or sunroom. Shop the latest trends for wall lights, vases, patterned tiles, floral wallpapers and more. Be inspired with a visit to a ceramics studio. Enjoy a heritage weekend in Harrogate with our guide. Subscribe to Period Living and pay just £5 for 5 issues! 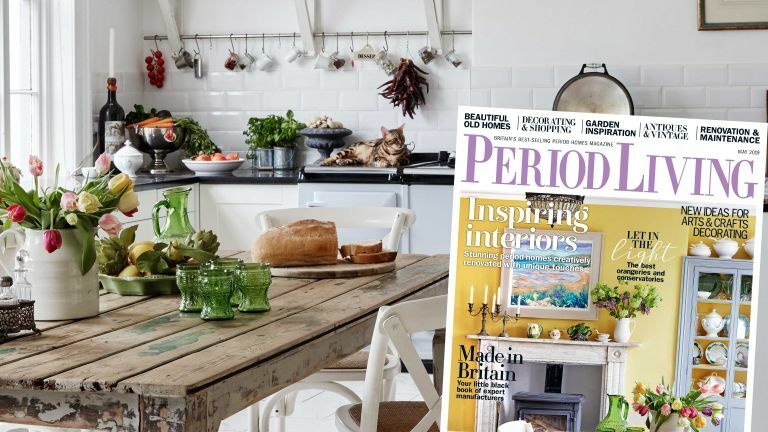 Period Living is a monthly magazine based in the UK, with shipping available worldwide. Subscribe and pay just £5 for 5 issues in our unmissable Spring Sale!